Quail Hill Publishing, 9780615862309, 222pp. For decades, the home built by reclusive artist, Paul Squire, stood empty on a windswept cliff overlooking the ocean. Those who attempted to live in the home soon fled in terror. Jennifer Barrett knows nothing of the history of the house she inherited. All she knows is that she's glad for the chance to make a new life for herself. It's Paul Squire's duty to rid his home of intruders, but something about this latest newcomer's vulnerable status...and resemblance to someone from his past...dulls his resolve. Jennifer would like to find a real flesh-and-blood man to liven her days and nights--someone to share her life with-but living in the artist's house, studying his paintings, she is surprised at how close she feels to him. 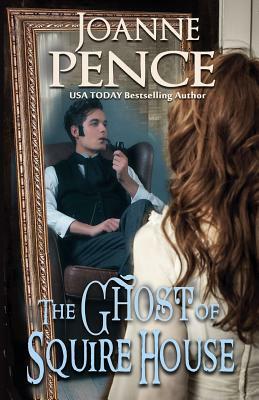 A compelling, prickly ghost with a tortured, guilt-ridden past, and a lonely heroine determined to start fresh find themselves in a battle of wills and emotion in this story of love, time, and chance. Joanne Pence was born and raised in northern California. She has been an award-winning, USA Today best-selling author of mysteries as well as historical fiction, contemporary romance, romantic suspense, a fantasy, and a suspense novel with supernatural elements. She has been nominated for RWA's Rita and Golden Heart awards, and for the RT Book Club Career Achievement Award. Joanne hopes you'll enjoy her books, which present a variety of times, places, and reading experiences, from mysterious to thrilling, emotional to lightly humorous, as well as powerful tales of times long past. Visit her website at: www.JoannePence.com.